Character - Leader. Points: 15/19. Health: 12. 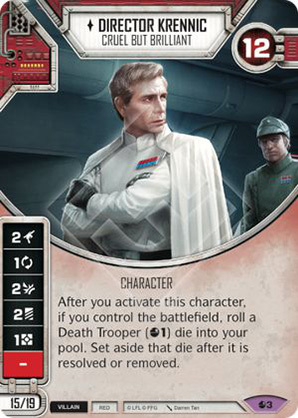 After you activate this character, if you control the battlefield, roll a Death Trooper (1) die into your pool. Set aside that die after it is resolved or removed.